Photo by Michael Lavelle Cinema Center audiences will be able to screen the film “Patrick’s Day,” starring Moe Dunford, at 4 p.m. Sunday. Photo by Michael Lavelle Cinema Center audiences will be able to screen the film "Patrick's Day," starring Moe Dunford, to decide whether the independent film should be distributed across the country. Nicholas Mason, founding director of the Manhattan Short Film Festival, will be the first to tell you this country doesn’t need another film festival. "There’s over 3,000 of them, and when it comes to feature films, apart from Sundance, no one cares," he says by phone from New York. Instead, the Manhattan Short Film Festival will present its third annual Feature Film Project in 26 cinemas Sunday, including the local Cinema Center, and audiences will vote on whether the independent film, "Patrick’s Day," is deserving of wider distribution among the country’s independent movie theaters. The film tells the story of a schizophrenic young man who becomes intimate with a troubled flight attendant. However, his mother is obsessed to end the relationship. The film won "Best Irish Feature Film" at Ireland’s Galway Film Fleadh in 2014. 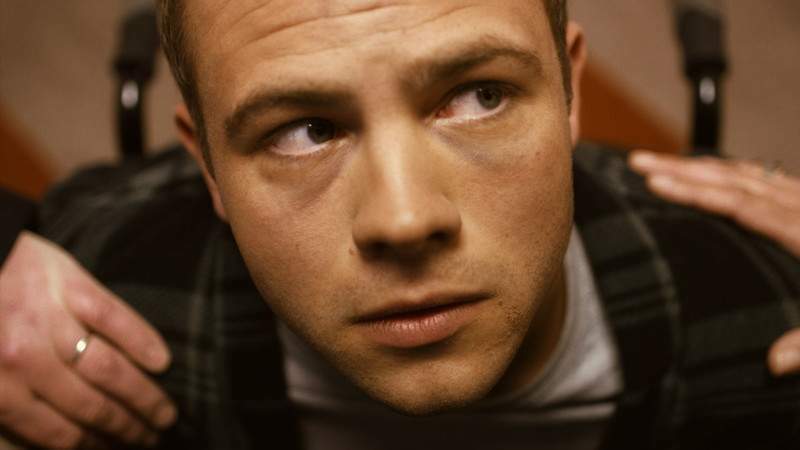 Lead actor Moe Dunford also won the Shooting Star Award at the Berlin Film Festival for his performance. The voting results will be updated online at www.thefeaturefilmproject.com. "It’s not a film festival, it’s a project," Mason says. "We’re asking the audiences, ‘Should this film be seen in this cinema and cinemas across the USA?’ ‘Yes’ is good, but ‘No’ is just as good as well. It’s asking the audiences to come to the cinema, and eventually, have an opinion that makes a difference to a filmmaker’s career." The Manhattan Short Film Festival has grown from a movie screen Mason had attached to the side of a truck in 1998, to a one-week event that will take place in six continents in September. Over the years the festival began asking audiences to be the judge of the films by having each venue vote for which films should win an award. Using the same "you be the judge" concept for the Feature Film Project, the idea is to help a film move from the film festival circuit to neighborhoods by showing distributors whether there’s a demand for the film. Mason says he reached out to theater owners and programmers, including Cinema Center’s executive director Jonah Crismore, to form a selection committee for the film. "Something that theater owners and people who run theaters have seen is that there are films that can fall through the cracks when it comes to festival time," Crismore says. "If they don’t get picked up for distribution, it makes it a lot harder for us as theaters to show them. So we kind of turn the tables around a little bit and make it so that the audiences are deciding how a film should be distributed." The 10-member committee met at the Art House Convergence conference in Utah in January to discuss the films submitted for the project. In the previous two years, Mason says the Manhattan Short Film Festival has selected the film, but he wanted to have theater owners and programmers be part of the conversation. "These people who run their art house cinemas have a wonderful gauge on the tastes, the likes and the dislikes of your community because their business revolves around that," he says. "So I was thinking how do you tap into that and bring them into one night across the country?" Crismore says the reason the judges selected "Patrick’s Day" was because of how it tackled a lot of issues surrounding mental illness and society’s perception of mental illness. "We definitely don’t want to say we’re influencing the audience in any way, but we definitely want audiences to have a reaction to it," he says. With test screenings usually aimed at larger cities, Crismore says the project allows for Midwest audiences to weigh in on a national film conversation. "Your opinions matter, your tastes matter," Crismore says. "We really want the audience in Fort Wayne to realize that Cinema Center is a theater where you can see these films that you wouldn’t be able to see in commercial theaters. "And if you want to see more, let us know so that we can bring them to the community and help enrich it with films like ‘Patrick’s Day.’ "